One of my pet peeves in literature and film is the use of the "tragic mulatto," more accurately described as a biracial female, that when she discovers she is half black, becomes mentally unstable and turns to suicide because she can't live with the loss of her white privileges. It is a myth that has been used and reused so many times it should by now be included with all of the other distasteful and hateful racial stereotypes and be called out for what they are when seen, heard and felt. 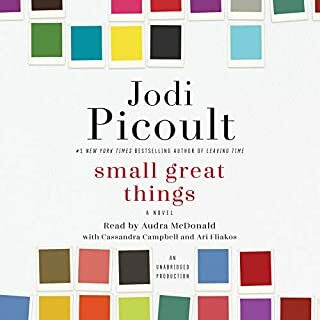 I am surprised Jodi Picoult resorted to it in this book for a character and used it as a device to wrap up the story in that character's life. Would you consider the audio edition of What Was She Thinking? to be better than the print version? Nadia May's reading nails the tone and characters of this book. 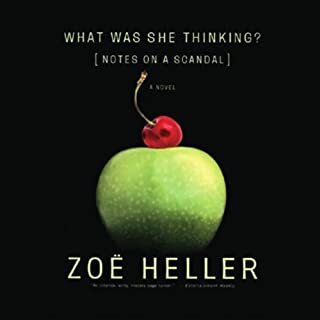 Zoe Heller's dialog. I found myself laughing out loud and gasping in disbelief. A running monologue of the dark, nasty things one thinks about people born from envy, fear and a certain self-righteousness we all have but try our best to never let out. In the novel, Barbara is not the closet lesbian, manipulator as portrayed in the film adaption. Barb does have a catty yet darkly funny monologue about Sheba and the other teachers, administrator and students. 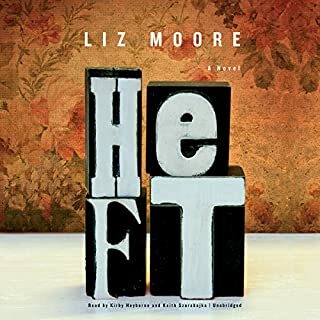 After making friends with the beautiful, rich new art teacher named Sheba, she soon discovers Sheba is having an affair with a 15 year old student. Sheba is out of control and Barb risks her job keeping Sheba's secret. Yes, Barb does suggest to fellow teacher Brian about the affair after he asks Barb out for dinner. Barb thinking he has an interest in her looks forward to it, only to get invited back to his house and asked what his chances are with Sheba. This tips Barb over after several brush offs from Sheba and lies Sheba tells her about ending her illicit and illegal affair. Once the scandal is out in the public, Sheba's husband Richard tosses her out and makes Sheba have supervised visitation with their down syndrome son. Barb is forced to retire early and lets Sheba move in and cares for her. Richard soon takes up with a 20 something year old student. Sheba can't let go of this 15 year old boy emotionally and physically. Barb helps her with quiet patience and a firm grip on the practical after the damage is done. Sharp wit and beautifully read by Nadia May. The end of sentences are clipped off abruptly. I had to stop listening about half way into the book. This happens only to SK books I purchase. The Long Walk, Firestarter and IT have this issue. SK and audible are not giving these these books away and the problem has been reported many times from customers. When will it be fixed? Frank is so honest about his ignorance and "shame" and that of his family. He is unfortunate enough to be born in America and must return to Ireland at the age of 5 when his parents are deemed failures. 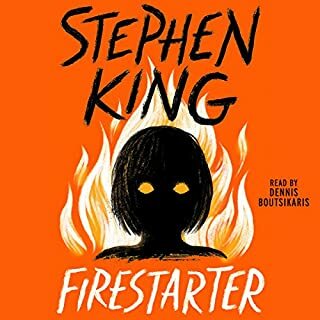 Frank's childhood is indeed a miserable one but he shows us the humor in the cruel ironies and very human deeds born out of superstition and the fear of hell's fire or the vast waste lands of purgatory. Frank's mother Angela must suffer much. The death of three of her children, a disapproving mother and sister, prejudice from catholic charities and a useless, drunken disgrace for a husband and 800 long years of British rule. Oh yes, Frank is reminded daily of the rhetorical question, How long has Ireland suffered from the cruel reign of England? 800 long years boy! 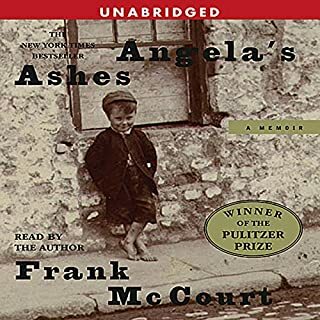 The departed Frank McCourt narrates his Pulitzer Prize winning novel with love for life and most importantly...the struggle that propels us into hope. Would you ever listen to anything by John Irving again? He might sound dry at first, but once the story gets going he is superb with the character's conversations and inner reflections. 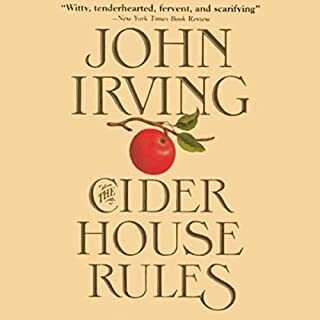 I am a fan of John Irving and his style of telling a a story that gives us the entire life of the main characters from birth to death and beyond. I relish his taste for the absurd and irritating and irritated exchanges between his characters. However, I rolled my eyes and lost affection for Homer and Candy when they have a a baby together, deceive her family, Wally's family and the baby boy they had together by telling everyone Homer adopted the baby boy Angel. Homer also becomes a bit of douche over the Cider House Rules as his role of "boss" grows over time. He is always adding to them and writing them up, making sure they are posted if not read. The story becomes tedious much of the time between Homer's first year at the apple orchard and the "15 years later" where Melony (Homer's girlfriend during his orphanage days) finally finds him. I must add here I thought Melony's story of looking for Homer was rich and well formed. Melony calls Homer out in his cowardly ways and how he treats those he is suppose to love. 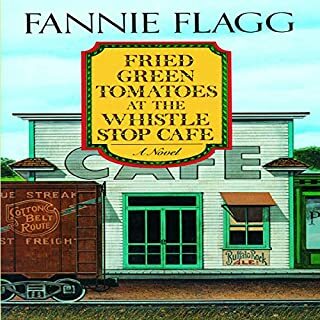 The end of the story is a bit rushed after such a long time spent in Dr.Larch's battles with the hospital/orphanage's board, Homer and Candy agonizing over their choices and trying to decide if Wally knows the truth. Should they tell Angel the truth? It's a good book but IMHO there are better John Irving books to read before this one. A pleasant listen. Mr. Reynolds is 80 years young and his voice has aged along with him. I loved listening to his candid stories about films he was in and some moments during them worth mentioning. Stories of humor and tragedy and love. His mother isn't mentioned much in his stories from his youth. Her reaction to him marrying Loni on his wedding day and a tiny bit towards the end. A lot on Johnny Carson's hard to please mother. He loved his dad and didn't get that loved returned. Most of those born in the 30's didn't. Burt, I hope you live past 100 and make that movie with Robert Mitchum's way of killing a fly on the bar. 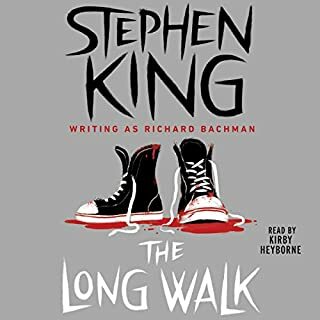 What disappointed you about The Long Walk? The plot hole as big as the Grand Canyon. Nothing was explained as to WHY the society allowed this death walk or any plausible motivation for the youths to sign up and be one of the "lucky chosen" to enter. They know only 1 out of 99 will LIVE and the prize is anything they desire and almost all of them are after money and none are so poor as to be homeless. So why? And this audio book is defective. Words are clipped short at the end of a sentence about every 5 to 10 minutes during the last few hours. Anything not read by Kirby Heyborne. Who would you have cast as narrator instead of Kirby Heyborne? Will Patton. He is not as shrill as Kirby. Anticipation for it to end! I knew what I was getting myself into with this book. I read it back in the 80's and of course some of it stuck in my memory. The walking at 4 mph. Three warnings in an hour buys you your "ticket," a bullet to the head. The torture of the back, knees, hips and of course feet. Having to walk barefoot on asphalt because of bad shoes.The guy that got his ticket punched for being prissy enough to want to squat for his business during a bad case of the runs. I didn't recall the protagonist or anyone in particular. 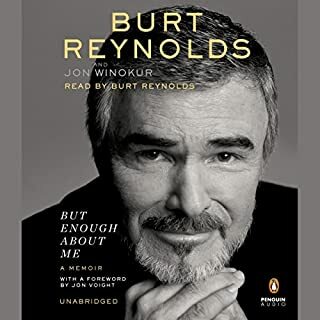 I was curious about it after all these years, so bought the audible book. Very old pop culture add-ins like an old Dial Soap commercial (don't you wish everybody used Dial,) reporters that trail electrical cords, the "thumb their nose at them" repeated so often. I didn't know what that meant back in the 80's nor do I now and I'm 52 yrs old with 20 years as a US Navy wife. It doesn't refer to the middle finger as King's characters do that often also. Never seen anyone thumb their nose at anyone as an insult.If you really want to read this book, buy the paperback. This book was interesting and I loved the story of 500 pound Aurthur Opp read by Keith Szarabajka. Aurthur receives a phone call from a former student of his from 20 years ago. A young female student named Charlien he had fostered a friendship with and hoped for more. The story of Kel Keller (Charlien's 18 year old son) is read by Kirby Heyborne and frankly it is high pitched and at times shrill. Kel's story doesn't ring true for a 18 year old boy who LOVES baseball. At times he seems babyish and other times like a 30 year old depressed woman...not a teen boy. His story moves slowly with tedious detail and I had to stop listening. Wishing this book contained more about Aurthur read by Mr. Szarabajka. Hector Hugh Munro (Saki) would love "Gramma." This is worth the purchase price for the short story "Gramma." I had read it back in the 90's and was poo-pooed by my mother for reading yet another, Stephen King book. I told her to read it for herself , and if she hated every single word of it, I promised to never read another King book. My mother fell in love with King's work and I started loaning her my copies (that she never returned.) Gramma reminds me of the deliciously wicked short story by Saki (Hector Munro) called Sredni Vashtar. 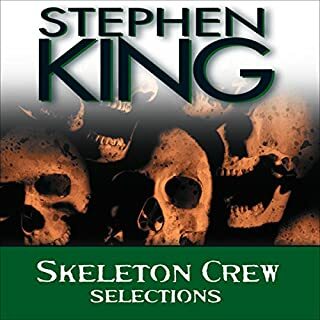 If you enjoy King's short story, I don't think he would mind if readers discover the talent of the English Victorian Saki and the audible of it read by Stephen Fry.
. I enjoyed Lorna Raver narrating Flannery O'Connor stories about rabid racists because the folly of their ignorance and hate either kills them or makes them face it (rubs their nose in it) and they become better people.